Do you plan to visit Prague? We will arrange transportation for you and your group around Prague and the Czech Republic, day trips to Cesky Krumlov, Karlstejn Castle, Karlovy Vary, Kutna Hora, etc. We differ from other tour companies by providing driver-guide services, driver and guide as one person, which is the most economical way to discover new places. Or you can hire only a driver which is the cheapest alternative (see prices below). The difference is that our experienced driver-guides speak English very well and are holders of both the guide and driver´s licence. With our experienced driver-guides you will be able to discover the Czech UNESCO sites, medieval castles, crystal factories, breweries and other wonders of the Czech Republic. Driver-Guide Services are for groups not larger than 7 people speaking English. The final price will be adjusted according to the route, number of participants, number of stops for sightseeing, waiting time, etc. 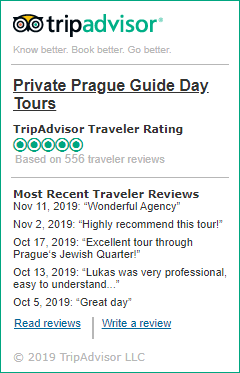 Please fill out the lower request form and we will send you an offer soon or you can see the prices of our most popular day trips from Prague. Prices include an insured car or van, gas and a professional driver. If you need a larger vehicle or you cannot find your departure-arrival destinations on the list below please let us know in the lower request form and we will send you a different price offer. We can arrange a transfer from any city in the Czech Republic to any place of your interest in Europe. Waiting fee: If you want to make several stops along the way or simply visit a city and do some sightseeing we will charge a small fee for the waiting time: 1-4 people: 250 CZK/hour, 5-8 people: 300 CZK/hour.